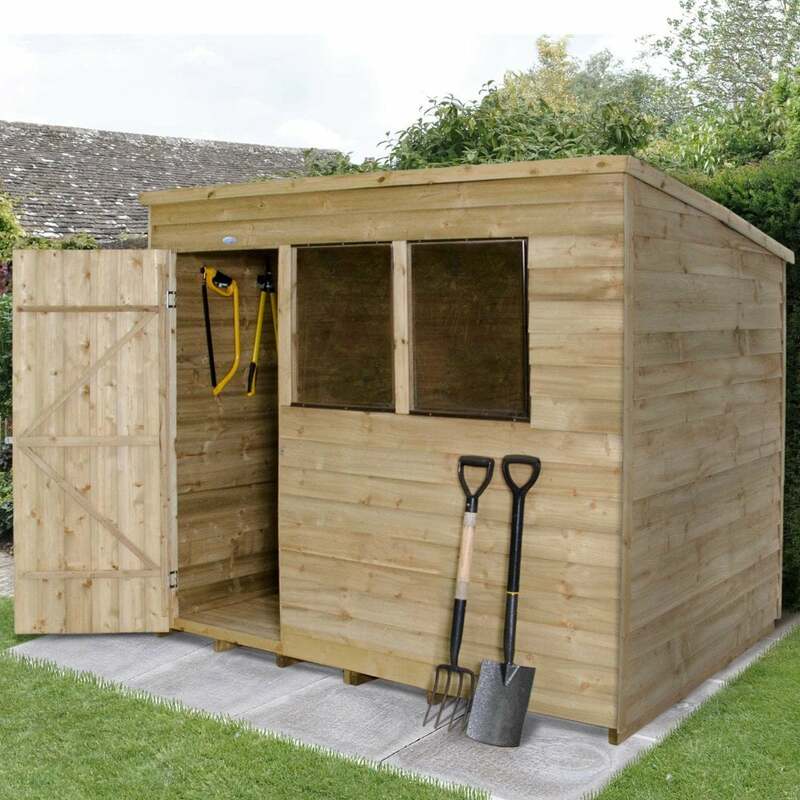 Forest Garden 8 x 6 Overlap Pressure Treated Pent Shed: This Forest Garden overlap pressure treated shed is an excellent choice for garden storage, this is one of the most popular sizes of garden shed and can house all your garden essentials. This shed has a rough sawn overlap timber construction and the timber is square cut to allow the rainwater to flow off the sides more easily and includes shed felt roofing materials for a water resistant covering for the OSB sheet material roof. This shed has a pressure treated boarded floor which is robust and durable and a single slope pent roof which will provide ample headroom to the front of the shed and will allow the rain to flow off the back of the shed. This garden shed includes a number of safety features such as double Z framing on the door, hidden hinges, safety screws for the windows, virtually unbreakable polycarbonate glazing and a hasp and staple lock. This shed will be delivered to you in easy to manage sections and is straightforward to assemble when completed by at least 2 people.